Condition: minor imperfection, overall good! 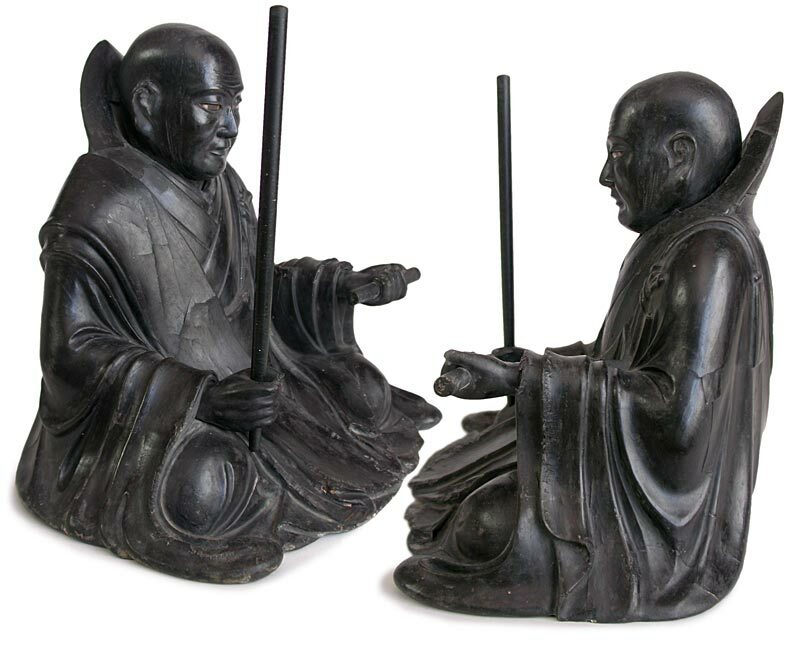 This rare dry lacquer on joined-block wood core Nichiren Shonin is both austere and noble. 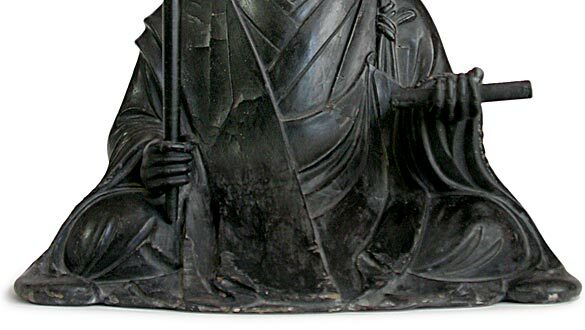 The Daibosatsu is wearing a voluminous robe, vigorously seated in dhyanasana with a Lotus Sutra scroll in his left hand, and in his right he is holding a Keisaku, as though he is about to strike on the meditator in lapses of concentration. 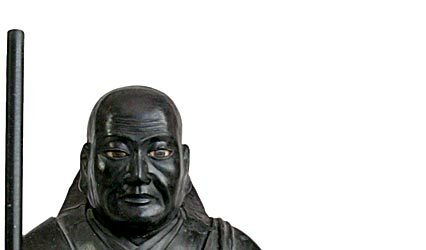 The face of Nichiren are delicately modeled, his serene expression is enlivened with crystal-eye inlays, which seem to looking straight at the viewer with an awakening power. 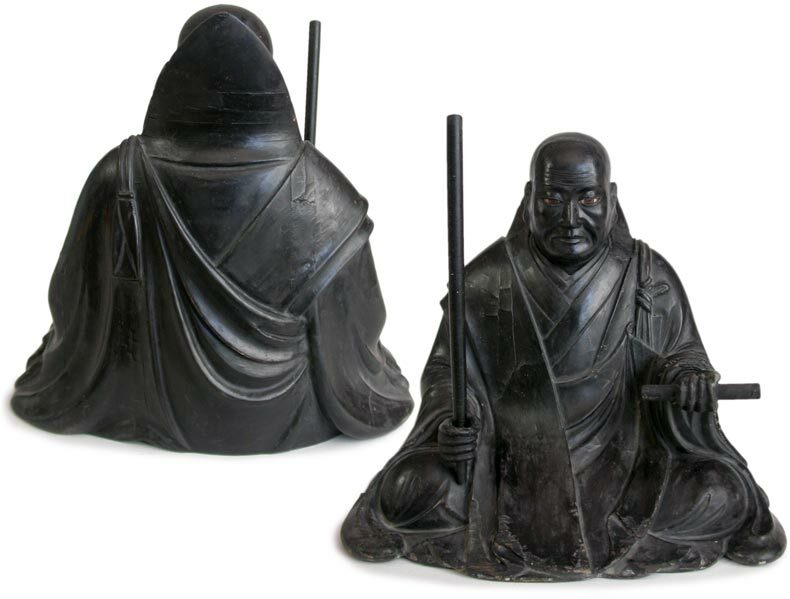 In style the alluring form of the Great Teacher (Rissho) alludes to the symmetrical equilibrium in Chinese tradition. 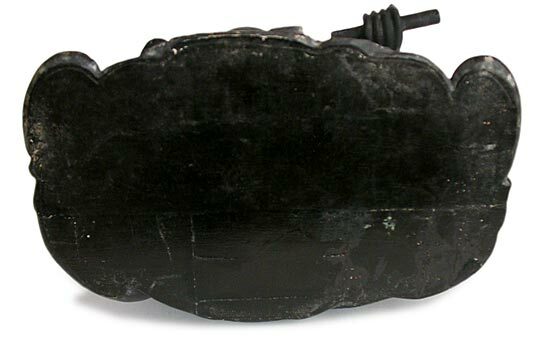 However, the technical features such as the crystal eyes inserted from inside of the head, which is composed of the front and back half; the five sections construction of torso and shoulders, joined with a separate block for the legs and the forth arms-- These are original Japanese techniques, and characteristic of sculptures from the Kamakura period in the late 13th century. This aged statue is worn but complete with no major losses. 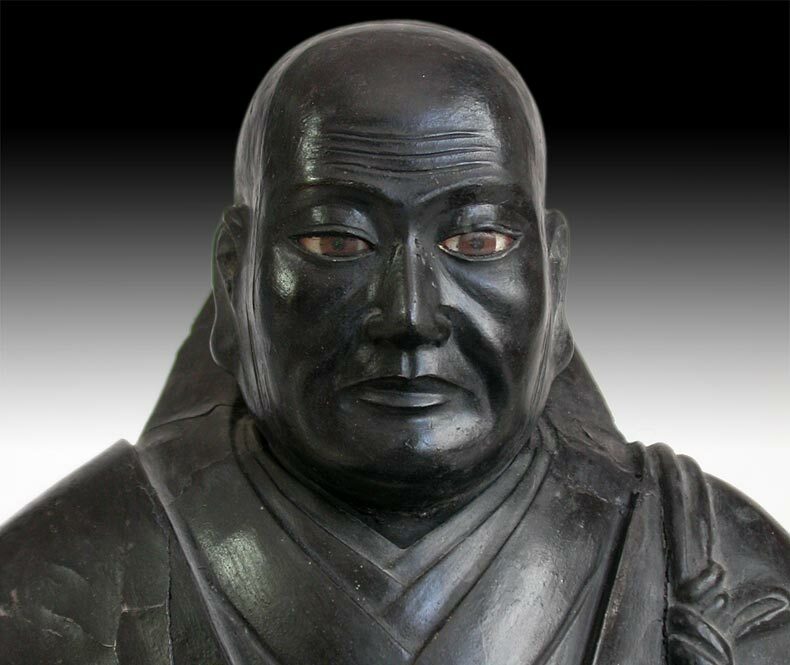 We conservatively attributed this Nichiren was made in 19th century or earlier.